Planning a free-and-easy trip in South Korea isn’t exactly simple despite the plethora of global travel sites which offer airline ticket and hotel bookings. While there are many advisory articles from seasoned travellers as to what can be found on well-trodden paths. lesser known and newer attractions are often missed – mainly due to the language barrier as information on the latter is usually in the Korean language. To address this lack of updated and useful information, a new Korea-based travel portal has been set up to bridge the language barrier. Korea Travel Easy is a one-stop online travel booking platform for ‘free & easy’ foreign travellers visiting South Korea. It was founded by travel enthusiasts who want to promote Korean travel with affordable and locals recommended ‘free & easy travel’ products. The need for such a service was discovered when the portal’s founders had trouble helping personal foreign friends plan trips to South Korea. Despite the many recommendations, they realised that South Korea is not exactly ‘free & easy’ friendly for foreigners due to language barrier, online payment policy issues, etc. To overcome this headache, the travel portal offers multilingual support – English, Mandarin, Cantonese, Indonesian and French, among others. 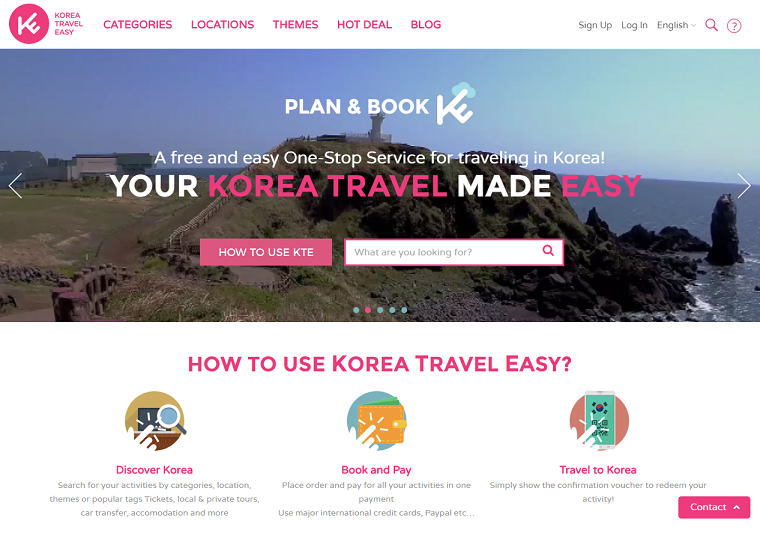 A fully-integrated booking portal, Korea Travel Easy also offers entertainment and admission tickets, private car rentals and guides, airport transport, accommodation, tours plus information on the latest and most popular places to go, see and dine at. This travel portals founders were among the many entrepreneurs from South Korean and beyond who briefed a global meeting of business potentials organised by Aving News Media during the ‘2016 Made in Korea’ conference in Seoul recently. With its extensive network of media partners, Aving News Media is a leading global organisation made of local media outlets around the world which focus on rising technology and business potentials. Made in Korea & Made by Korea. 한국 기업과 제품을 해외 시장에 홍보하기 위해 ‘메이드인코리아 콘퍼런스 & 네트워킹파트가 지난 14일 그랜드하얏트호텔 그랜드볼룸에서 열렸다. MIK 2016은 한국 내수시장만으로는 만족할 순 없고 야심찬 해외 시장 진출할 계획을 가지고 있는 한국 기업들을 위한 합동 홍보의 장이라고도 할 수 있다. 홍보를 위해 각국 10개국 미디어도 초청했다고 한다. 글로벌 진출의 게이트웨이 ‘Made In Korea Conference & Networking Party(이하 MIK) 프로젝트’에서는 총 7개국 10개 해외 미디어가 참석해 아이디어, 디자인, 실용성 등을 기준으로 Top3 기업을 선정했다. 글로벌 진출의 게이트웨이 'Made In Korea Conference & Networking Party 프로젝트'에서는 총 7개국 10개 해외 미디어가 참석해 아이디어, 디자인, 실용성 등을 기준으로 Top3 기업을 선정했다. 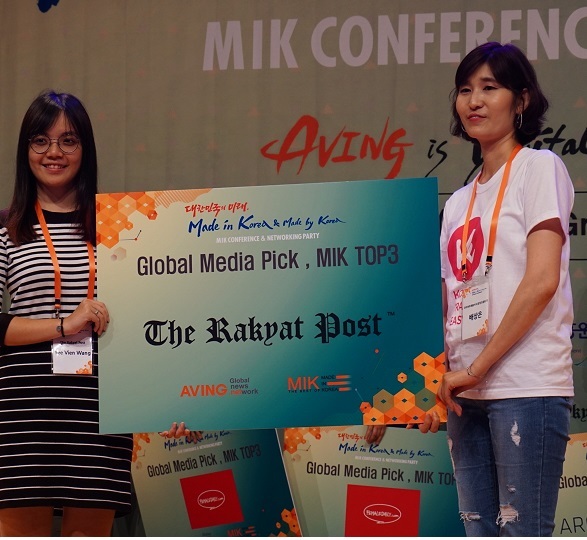 Eight global media and AVING NEWS selected superior three companies each at Global News Network AVING NEWS’ ‘Made In Korea’ event. 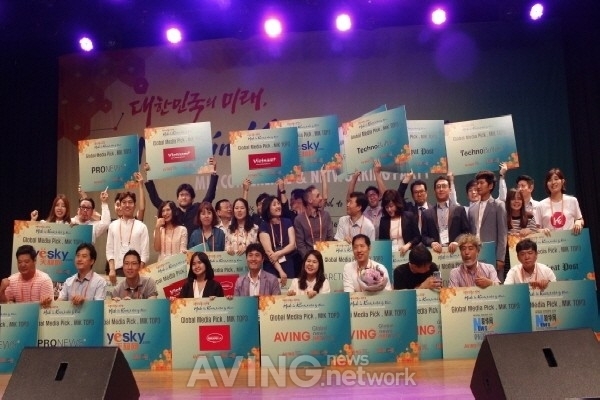 Each media considered their outstanding performance, trend and promising. Vietnamplus selected Cellus-one, Coffeega, mLab, Yesky from China chose Finenetworks, Orfeo, ATNS and Xinhua Network from China gave the honor to SBN, Windowmate and AhnInternational. Female Daily from Indonesia chose Cham-Zone, Cosmo Monster and HanK. ARCTICSTARTUP of Finland selected Insight Power, Baud and Porden Tech. The Rakyat Post from Malaysia chose Korea Travel Easy, ML Information and Technology, Nock. Pronews from Japan chose Crazy Cam, X-Jip, The VR. TechnoBuffalo from U.S. selected Formers Farm, Baud and JE&K Science. AVING NEWS selected Game Duck, Mobidu and Riceclay. 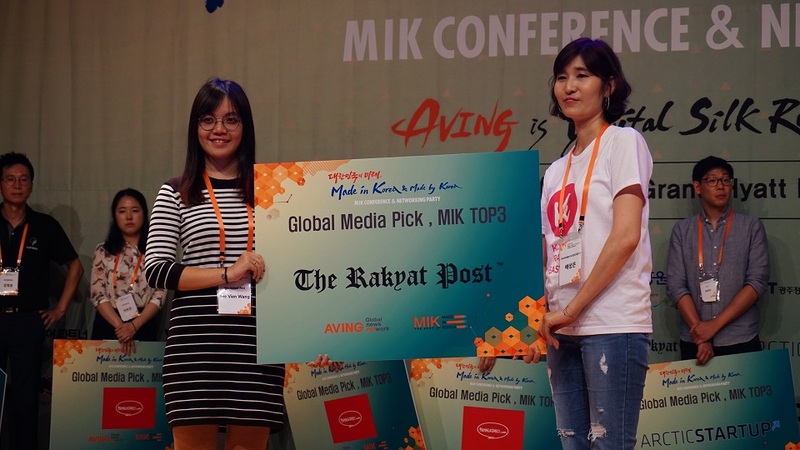 Eight global media and AVING NEWS selected superior three companies each at Global News Network AVING NEWS' 'Made In Korea' event. 글로벌 뉴스 네트워크 에이빙뉴스가 대한민국 제품을 해외에 알리기 위해 개최한 ‘메이드인코리아(Made in Korea, 이하 MIK)’ 행사에 참가한 8개 외신과, 에이빙뉴스는 각각 우수 기업 3곳을 선정해 시상했다. 각 미디어사는 제품의 우수함과 트렌드, 유망성 등을 종합적으로 고려해 기업을 선정했다. Vietnamplus는 셀루스원, 커피가, 엠랩을, 중국 yskey는 파이네트웍스, 오르페오, ATNS를, 중국 신화망은 SBN, 윈도우메이트, 안인터내셔널을, 인도네시아 FEMALEDAILY는 참존, 코스모몬스터, 한케이를 선정했다. 또 핀란드 ARCTICSTARTUP은 인사이트파워, 바우드, 포던테크를, 말레이시아 The Rakyat Post는 코리아트래블이지(KoreaTravelEasy), 엠엘정보기술, 노크를 일본 PRONEWS는 크레이지캠, 씨네테크 X-JIP, 더 브이알을, 미국 Techno Buffalo는 포머스팜, 바우드, 제이앤케이 사이언스(라이토스)를 그리고 에이빙뉴스는 게임덕, 모비드, 라이스클레이를 TOP3로 선정했다. 글로벌 뉴스 네트워크 에이빙뉴스가 대한민국 제품을 해외에 알리기 위해 개최한 '메이드인코리아' 행사에 참가한 8개 외신과, 에이빙뉴스는 각각 국내 우수 기업 3곳을 선정했다. 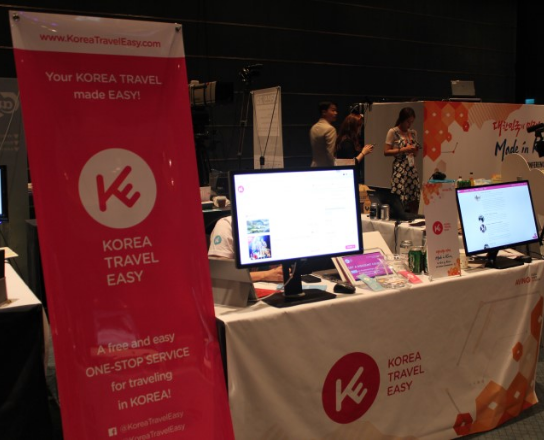 Korea Travel Easy is a tourism IT startup that provides tourism service to the foreign individuals with its online commerce platform. With the meticulously designed online service, this platform is designed to make traveling in Korea easy. It helps enrich the tourism experience to foreigners. Korea Travel Easy tries to draw attention especially from people in China and Southeast Asia, whom show the most interest in Korea and are most interested in experiencing Korean things. They can buy tickets to tourist attractions and travel packages easily with Korea Travel Easy. These days, more and more foreign people are purchasing travel packages by online, but there are not enough platform and they are often are not stable. Korea Travel Easy can be a great solution that can solve this problem. Korea Travel Easy prepared a DIY one-stop service to free backpackers to Korea. It can be customized to fit the needs of each traveler. The payment has been prepared in various methods, including credit card, PayPal, AliPay, TenPay, WeChat, MOLpay, PaysBUY. The languages it will be serviced in will be English, Chinese, Maya, and Indonesian. Korea is making its name known all over the world with the recent trend, Korean Wave. This led to the development of various industries including tourism.